WILL LOOK AT TRADES !!! 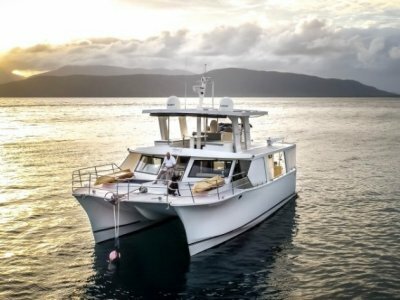 Alloy Charter or Commercial Power Cat – Take a look at this one!! Launched in 2002 this commercial 14.95M Alloy Power Cat is ready for work. 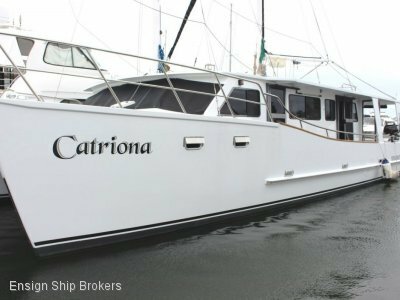 She has a large aft deck and carry capacity of 4 tons or as a charter vessel she is in 2C / 16 Person. Able to get into 1E / 49 Pax. Her accommodation allows for 7 berths. 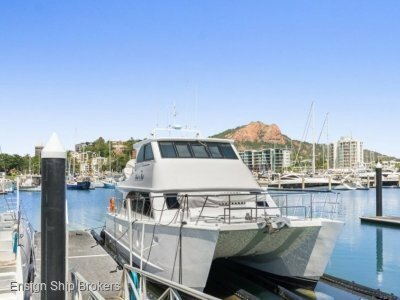 Wide walk-around decks, spacious aft deck and saloon area. 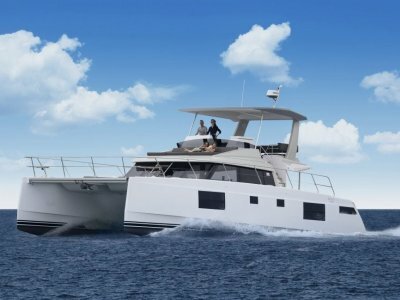 The command Flybridge provides excellent visibility and has all the modern electronics. Powered by twin Cat 3208 Turbo 290HP diesels with just a 1,000 hours. Giving her a cruise speed of 10kts (using just 30lts per hour combined) and max speed of 17kts. 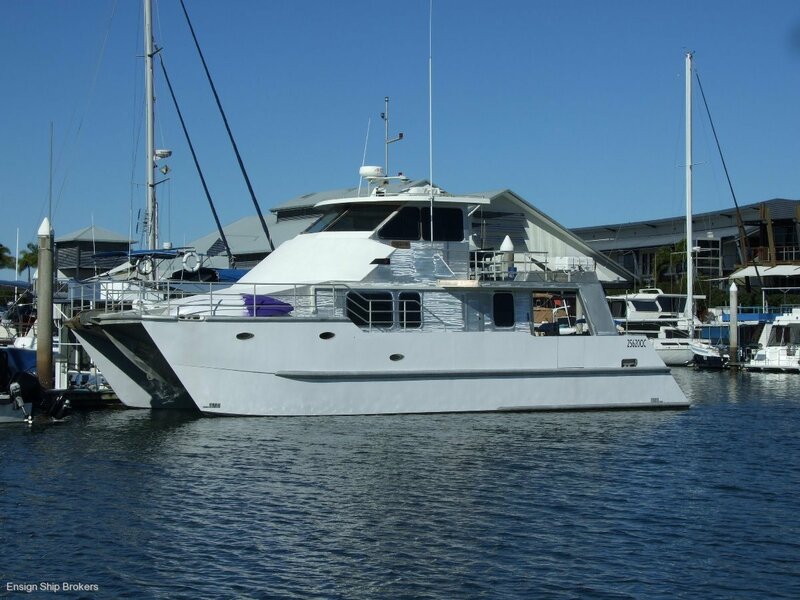 Located here at the Gladstone Marina, QLD.